Bruce has acted professionally for over thirty years and has preformed from coast to coast-to-coast, from Vancouver to Halifax to the Artic Circle. He has also performed in numerous cities through out the United States. He has acted for the Shaw Festival, Canadian Stage Co., Mirvish Productions, Live Entertainment, Shakespeare Plus and the Vancouver Opera in such shows as Les Miserables, Kean, Broadway Bound, Show Boat, Little Night Music, Zoo Story, Dwarf, You Can’t Take It with You, Jacques Brel, Tom Foolery, and Tom Jones. Bruce has been seen as guest leads in such TV series as: Traders, Due South, Hoop Life, Earth Final Conflict, Total Recall, FX: The Series and Star Hunter. His Films include: Haven, Torso, Butter Box Babies, No Further Questions, Sirens and Rubber. Bruce has taught at George Brown College, Sheridan College, University of Toronto Erindale campus and Equity Showcase Theatre (EST). He is also well known as a coach and has many clients in or on series and films currently shooting across Canada and in the United States. Bruce was David Alpay acting coach for Atom Egoyan’s most recent film Ararat (2002). Bruce has been fortunate to have studied with a variety of great Teachers: Carol Rosenfelt, William Hickey, Kurt Reis, and David Rotenberg to name a few. 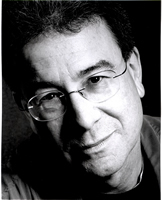 David Rotenberg has been a master acting teacher for over 20 years. He has directed on Broadway, in many major regional theatres, for television, and he has published five novels (the Zhong Fong detective series), all of which are available at your local bookstore or online. The series is in the process of being optioned for film. 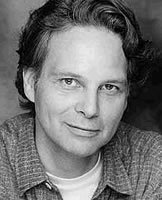 David has taught at York University, the National Theatre School of Canada, the Shanghai Theatre Academy, the University of Cape Town, and Princeton. He regularly teaches professional classes in Montreal, Vancouver and Halifax. He directed the first Canadian play in the People's Republic of China. Most recently, David has directed at Penn State University, and has adapted and directed F. Scott Fitzgerald's The Great Gatsby. He is working on a new novel for Penguin Canada tentatively entitled: Shanghai, The Ivory Compact. The roster of his students reads like a who's who in ranks of Canadian actors, including Scott Speedman, Rachel McAdams, Polly Shannon, David Hirsh, Jonas Chernick and Shawn Doyle. His unique techniques are used by actors in Canada, the United States, the United Kingdom, South Africa and the People's Republic of China.